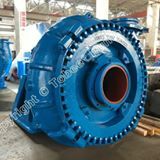 Hebei Tobee Pump Co.,Limited, is a professional manufacturer in designing and manufacturing Centrifugal Slurry Pumps, Pipes & Fittings, Valves etc. Our factory is located in the High tech Development Zone, Shijiazhuang City, China. We specialized in Horizontal slurry pumps, Vertical slurry pumps, Warman slurry pumps, Gravel sand pumps, Dredging pumps, Paper pulp pumps, Molten Salt Pumps, End suction pumps, Double suction pumps, Multistage pumps, Boiler feed water pumps, Self priming pumps, Inline centrifugal pumps, Sea water pumps, Chemical pumps, Irrigation pumps, Fire pumps, API 610 centrifugal oil pumps, Submersible sewage pumps, Slurry Pump spare parts, Pipes & fittings and Valves in domestic and over 80 countries in the world. Address Hi-tech Development Zone | Shijiazhuang City | Hebei Province | China. Ask Hebei Tobee Pump Co,Limited to get Verified by ScrapMonster.